This chubby chick hatched out just in time for Easter! Use your colorful fabric scraps to make some chirpy chicks. 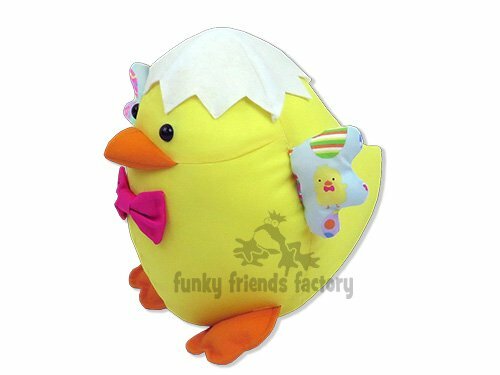 Kids will love this simple pattern as they can customize their own egg-shaped Easter friend with a bow-tie and cute egg-shell hat!